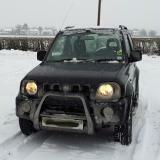 Starting to love my Jimny too much! It's turning into a love triangle with my Wife! Some time ago I bought a second hand Asfir fuel tank guard and today got around to fitting it. 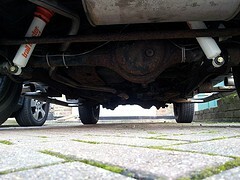 The biggest problem was getting the old one off; rusty nuts seem to be my nemesis with the Jimny! Luckily, my Irwins bolt grippers have done the job and got them all off. 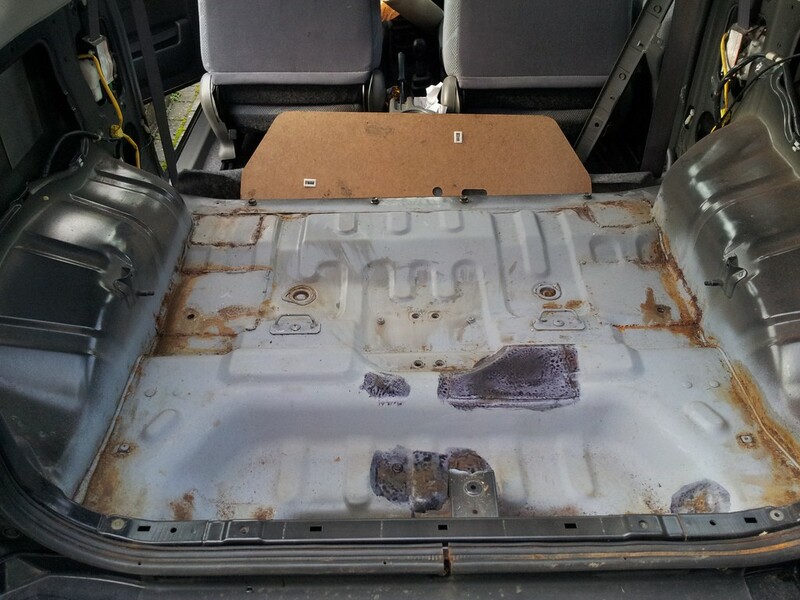 I stripped out the rear seats and trim today to get a good look at the rust in the rear floor pan. When I bought the car I knew it had been patched up, but needed some work, but was prepared for that. Those who know Jimny's, know that they can rust like mad. I bought mine knowing it needed some work doing, but step one was to get it under-sealed to stop the rot for as long as possible, giving me a chance to work on it over the coming months. 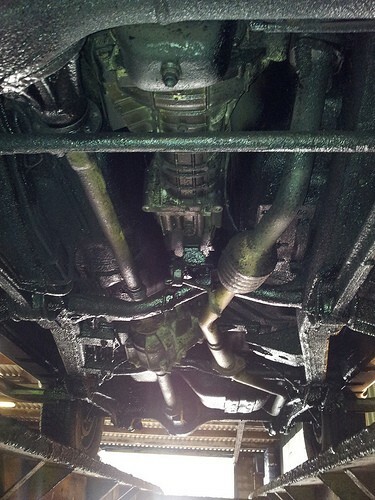 I noticed that one of my rear shocks was leaking so was in need of replacing. As I have the mantra of replacing with quality parts, I initially decided to go with Rough Country shocks (no lift - standard length), but unfortunately, didn't fit correctly.